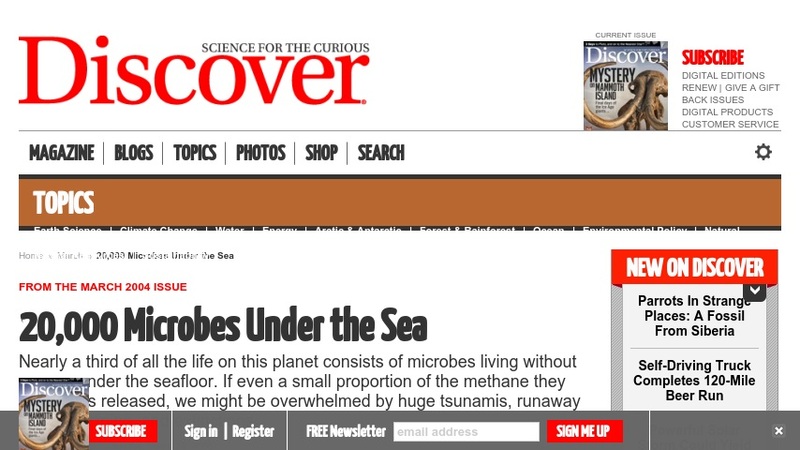 This website contains the introduction to a Discover Magazine article about bacteria found living under the floor of the Black Sea. The sea floor core, taken in 2001, contained a cubic meter of bacteria. The full article is available to Discover Magazine Subscribers or may be purchased online.